Two weeks ago, Twitter opened up a feature that allowed anyone to apply for account verification. If noted entrepreneur, venture capitalist and blogger Jason Calacanis is to believed, this is simply “phase one” of a process that should see all Twitter accounts (using a real name) verified. In a segment on last night’s TWiT (This Week in Tech), host Leo Laporte and guests Calacanis and tech journalist Mike Elgan discussed the possibility of Twitter switching to a real name policy to end hate speech, trolling and otherwise unsavory behavior. The move, is one Facebook has had some success with and it seems to make a lot of sense. That said, Facebook has also taken its share of lumps over the policy, particularly from privacy and LGBTQ advocates. After getting the gist of the new verification process down, Laporte paraphrased what sort of accounts should be verified on Twitter: “you have to be a creator, an influencer, you can’t just be a man on the street.” He’s mostly right, what Twitter is looking for in the verification process is high-level journalists, celebrities and media personalities that — without verification — are targets for fake accounts. Calacanis, however, believes this to be phase one of a larger goal to get everyone on the platform verified. 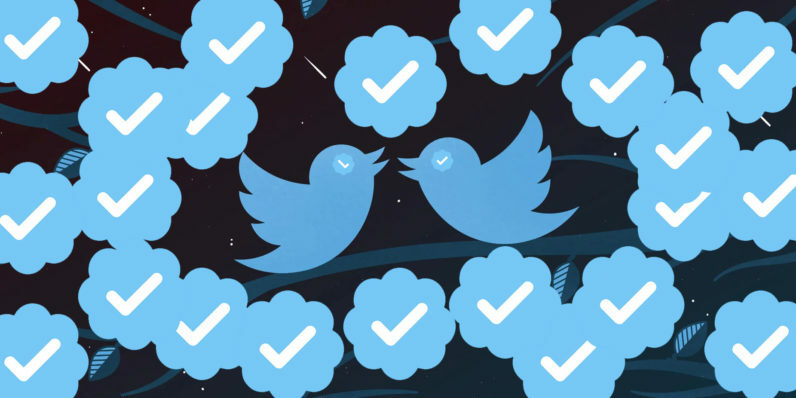 Essentially, the blue checkmark of a verified account would be extended to anyone willing to use their real name, and provide the necessary documentation to prove that they are indeed who they claim to be. The move would be an interesting one, and it could definitely ease some of the concern around Twitter’s negative trend of facilitating bullying, hate speech and illegal activity. Having to provide a real name could minimize this, as bad actors could no longer hide behind the anonymity afforded on the platform. Using a real name could lead to lawsuits and other real-life consequences such as job loss. After Elgan questioned Calacanis’ claim — in particular what made Calacanis believe verification would soon be open to anyone using a real name — Calacanis responded that he knew this to be the case and that it was “inside information.” Whether this inside information is accurate or not remains to be seen, but it’s worth noting that Calacanis is well-connected within the industry, so it wouldn’t be a surprise if this proved to be true. That said, many of the verification requests for legitimate accounts, some of which should be verified, are being denied, so it seems we’re still a ways away from universal verification on Twitter.